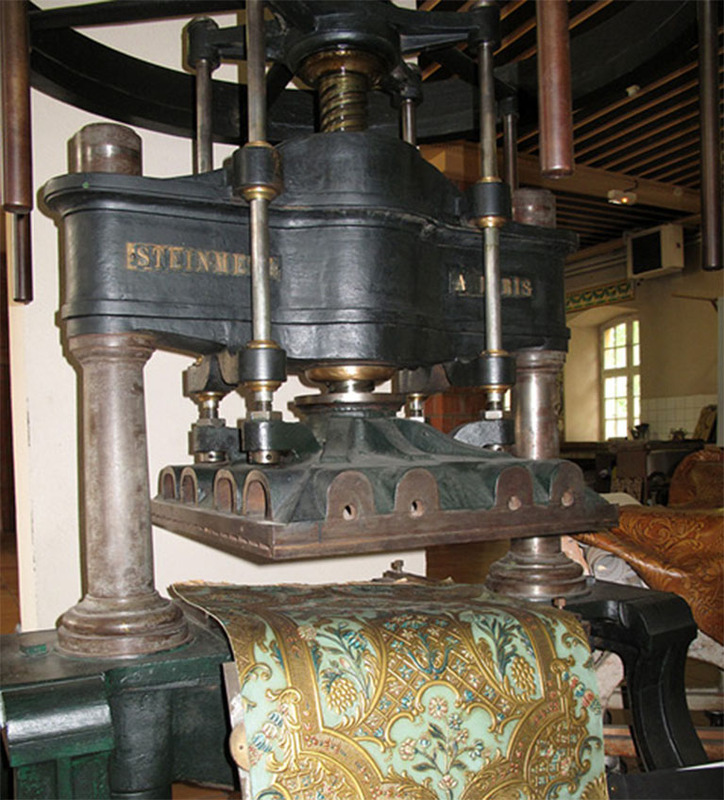 During the Second Empire, the factory purchased a press to emboss wallpaper and leather. Already printed paper, leather or fabric, is laid on an engraved plate at the base of the press. A copper plate, engraved as well but with the opposite pattern is attached to the top of the press. Once operated, the pressure will shape the material to the engraved design. Thanks to a patent, Zuber is the only manufacturer able of embossing all kind of materials (paper, leather, velvet, silk, satin, etc…) without it losing its relief. Today, Zuber is still using the original tooling and copper plates which are now listed Monuments Historiques.